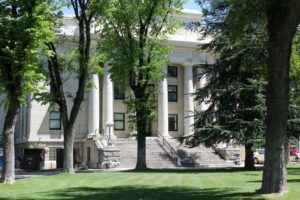 Prescott, Arizona, is proudly known as “Everyone’s Hometown.” This charming town provides an overwhelming community and family atmosphere to its residents and visitors. Not only does historical Prescott offer downtown activities, but it also delivers peaceful living and abundant outdoor recreation. With the Prescott National Forest surrounding the mountainous town, miles of hiking trails, multiple area lakes, and a dog-friendly downtown, it is not a mystery why people are moving to Prescott. Prescott is conveniently located at a mile-high elevation in the mountains of north central Arizona in Yavapai County, approximately 95 miles south of Flagstaff and 95 miles north of Phoenix. The climate alone entices visitors to fall in love with Prescott, allowing residents to “brag” about its near perfect climate. The town’s warm Summer season, a mild Fall season with beautiful foliage color changes, mild white Winter season, and overwhelming Spring beauty, all combine to make this town prime for active living. In fact, the annual average high temperature is an enjoyable 69 degrees. Now that is worth bragging about. What makes everyone love Prescott, Arizona? Simply… Everything! Prescott’s population continues to grow, reaching around 42,000 in 2016; however, it maintains a quaint small town atmosphere. Prescott, Arizona, has been granted the title as one of the “happiest and healthiest cities in America” by Time Magazine! This prestigious title follows the recent declaration by Sunset Magazine, deeming Prescott as the “best place to live in the Southwest”. As if that isn’t enough, read about how Prescott is the number one place to retire in the US. Prescott truly has it all! Prescott, Arizona, offers a lifestyle for all ages – families, young adults, and seniors. Gardens at Willow Creek, Prescott Canyon Estates, and Courtyards at the Gardens are all popular 55+ communities in Prescott. For families, Prescott offers award winning schools for all ages. The Prescott Unified School District provides three elementary schools, two middles schools, as well as the Prescott High School. Other secondary education options include Tri-City College Prep High School and K-12 BASIS Prescott Charter School. In addition, there are numerous colleges the Prescott area: Embry Riddle, Prescott College, and Yavapai College. Prescott is a town that offers something for everyone, and is truly “Everyone’s Hometown!” For information on Prescott, please click here http://www.clarealty.net/contact-us.